"I have been using Cubase since 1992 when I was messing around with crusty 12bit hardware samplers; this earned me my name Lotek. Since then my productions have evolved and Cubase has evolved with me. For me Cubase 6 is an obvious choice as Cubase has the best MIDI sequencing of any software I have used, the powerful audio editing tools make it an essential part of my production process while the ease of use means I can concentrate on the music." Music producer and artist Wayne “Lotek Hifi” remains instrumental in shaping the sound and direction of one of the UK’s best known, most loved, influential and cutting edge independent music labels, Big Dada / Ninja Tune. Through his production, remixing, writing and engineering he contributed significantly to the sounds of Big Dada’s award winning / world renowned artists Roots Manuva across his three albums as well as live tours; through to producing 2009 Mercury Award Winner Speech Debelle. 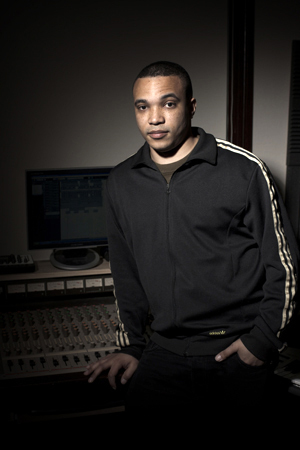 A project close to his own heart, “Lotek Hifi” racked up three singles and two critically acclaimed albums. Of British / Jamaican parentage Wayne is now at home in Melbourne Australia via a colourful upbringing in the projects of South London’s musical melting pot. Last year’s Mercury Prize victory saw his production skills and sound pitted up against the cream of the UK music scene from Kasabian and Florence and the Machine to Glasvegas and Friendly Fires. His emotive, acoustic, Hip Hop interpretation driving the music and clinching this most prestige prize won in previous years by the likes of Dizzee Rascal and Ms. Dynamite. Musically, Lotek can be eclectic as is the nature of pure Hip Hop. His sound is built on an exploration of the cutting edge whilst calling on his wealth of experience to attend to the retrospective from whichever genre. His sonic leanings merge and meander, from Hop Hop to broken beat, funk to dub; a musical chameleon that works the desk with the same attention he gives the mic.